To celebrate 115 years of the Suzanne Aubert Compassion Centre, the Soup Kitchen hosted a fundraising concert, 'Sound Bites'. 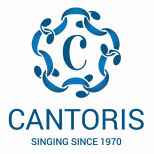 Cantoris was invited to sing in this concert along with members of the Wellington Youth Choir and students from the NZ School of Music. What a great year!! Out of the blue we caught a pearler who has taken Cantoris on a fabulous journey this year. 3 wonderful programmes, the best audience turn out we've had a for a while, great reviews and last but not least a positive and encouraging atmosphere to spread our wings and really enjoy the singing.